Fabrics used in and around the paintroom need to be non-linting to avoid particle re-deposition on painted panels. 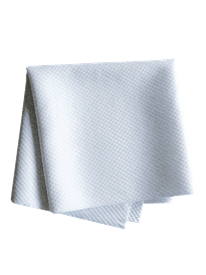 Cleantec fabric is constructed with continuous filament polyester yarn to eliminate fibre shedding in a clean environment. An anti-static grid also ensures that particles are not attracted to the garment, and reduces the clinging effect which is caused by static. This allows better circulation of air within the garment, and, combined with the exceptional breathability of the fabric, gives improved wearer comfort in a warm environment. Paintroom workwear is a coverall collection that deftly combines durability, protection and performance with maximum comfort and movement. In addition to providing an effective shield from water and powder-based paint, aerosols and inorganic liquids, paintroom protection garments allow both water vapour and air to permeate, which ensures that comfort is never compromised. Paintroom workwear is constructed from non-linting materials to protect painted panels from the re-deposition of small particles. Cleantec fabric utilises innovative continuous filament polyester yarn, which eliminates fibre shedding and guarantees that our paintroom protection clothing does not contaminate either primed or freshly painted surfaces by releasing potentially paint-damaging compounds. An advanced anti-static grid reduces uncomfortable garment clinging and as surface contamination protection is of the utmost importance, this anti-static technology ensures that compounds, particles and filaments are prevented from adhering to the surface of every paintroom workwear garment. 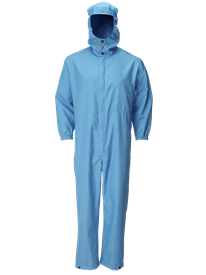 Paintroom workwear is a high-performance and lightweight coverall choice, with every individual garment in the range adhering to the highest industry standards and providing uncompromising personal protection from hazards, chemicals and injury. Quality standards mean that every seam is twin stitched and double turned after heat sealing. Zip fastenings are constructed from high-quality moulded plastic and operate with a 2-way closure for ultimate practicality. Well-positioned pockets have protective flaps, ensuring important tools and possessions are shielded from damage. 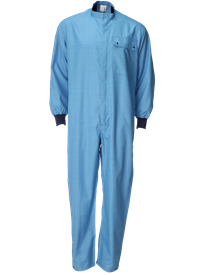 The elasticated back on both single and double layered paintroom workwear coveralls is adjustable for comfort and appearance. 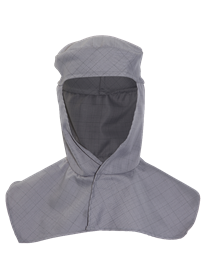 The close fit hood with a practical front closure and set-in sleeves with elasticated cuffs guarantee effective protection, without compromising on comfort. A selection of practical accessories complement the paintroom workwear coverall range, ensuring that professionals always have access to everything they need to complete their work to the highest possible standards, in comfort and with ease.